It’s a Wonderful Life. I saw it for the first time last night. Please watch it. Thank me later. I’d prefer to watch this classic over against almost every more recently produced mainstream movie, including Gravity, Inception, Thor, Gatsby, Zero Dark Thirty, Skyfall, and many others. This doesn’t have to be the case for everyone, but this type of movie is just more personally enjoyable overall than anything I’ve seen in a long time. The simple, gritty depiction of life, struggle, love, and sacrifice to me outshines all of the glitz and glam of modern special effects, IMAX, 3D, and CGI. In a unique way, I found more entertainment in It’s a Wonderful Life than I did in The Avengers, Dark Knight Rises, and Avatar combined. It’s A Wonderful Life models practical heroism and others-preferring altruism in a way that is more relatable than the atypical human (or superhuman) characters found in Braveheart, Gladiator, Iron Man, and Man of Steel. It evokes human emotions, innate desires, and God-given sentiments in a way these other movies do not, maybe just because this movie is so regular. Of course, I don’t agree with everything in it theologically, but there is something to appreciate deeply in the beauty and goodness that can be expressed in the cinema and arts through God’s common grace. What are some other classics that you guys would recommend? I’m a big fan and classic cinema in general. My parents let us watch black and white cartoons and tv shows growing up with other kids were vegging on He-man and The Smurfs. I don’t regret it at all and watch those same shows with my daughter and even enjoy silent films together. I still love the the Marx brothers and recommend them for a good laugh. The Andy Griffith Show is great for the whole family to sit down and watch. As well as The Honeymooners. I have a whole bunch of favorites, but those are just a few to start with. 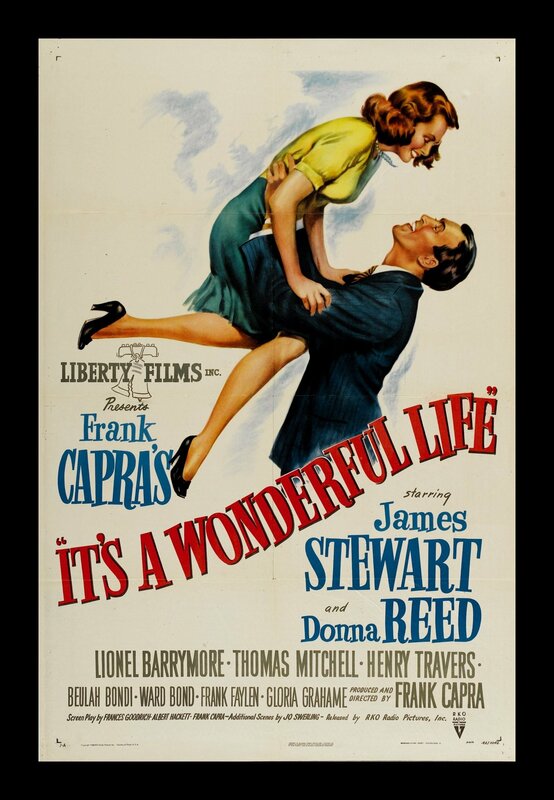 I LOVE It’s A Wonderful Life, Jimmy Stewart is one of my favorites! Charade is my favorite old movie, you can’t beat Cary Grant & Audrey Hepburn. I would also recommend any Hitchcock film. Vertigo, To Catch A Thief, Rope, & North By Northwest are all really good. Casablanca is excellent as well, a classic for sure. I love old movies too, but I also love some of those other modern movies you listed. Gravity is going to change cinematic history, and the Dark Knight Trilogy and Gatsby are some of my favorites. Have you seen Silver Linings Playbook? *insert I can’t believe you’ve just now seen Its a Wonderful Life!! harassment comment here* I’ve watched Its a Wonderful Life all through my childhood! Isn’t it so wonderful?? I didn’t appreciate it til I was much older and again far more after becoming a believer. To Kill a Mockingbird is also a great classic! Atticus Fitch is my literary hero; such an incredible example of a father. Talk about common grace! I know you wrote this a long time ago…but I resonate so much with your words! I grew up watching this movie with my family (it has since become my favorite Christmas movie). I appreciate the simple (but crucial) messages about sacrifice, hard work, generosity, kindness, and perseverance. Mary’s love and admiration for George despite his mental and emotional failings, is refreshing and commendable. George’s sacrificial love for others is evident, even though he learns a lesson about needing others himself. Their marriage is *not* about themselves and goes against everything Hollywood and our current culture is about. The daily mundane is made beautiful and important in this movie.